Learn new techniques and complicated stitches or how to use your new machine with Creative Sewing Centers’ sewing classes for the Minneapolis and St Paul metro area. We offer a wide variety of sewing and embroidery classes for every skill level at each of our Twin Cities metro locations. 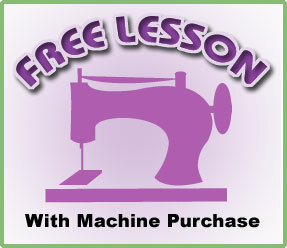 Whether you’re a beginner and just bought your first machine or have been sewing for years, there’s something at Creative Sewing Centers for you!